There is no silver bullet to close the food, land and GHG mitigation gaps. 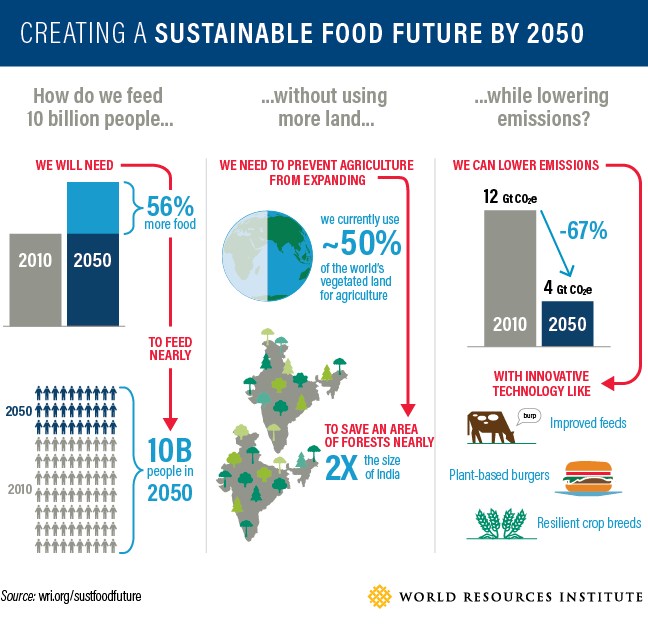 WRI research on how to create a sustainable food future has identified 22 solutions that need to be simultaneously applied to close these gaps. 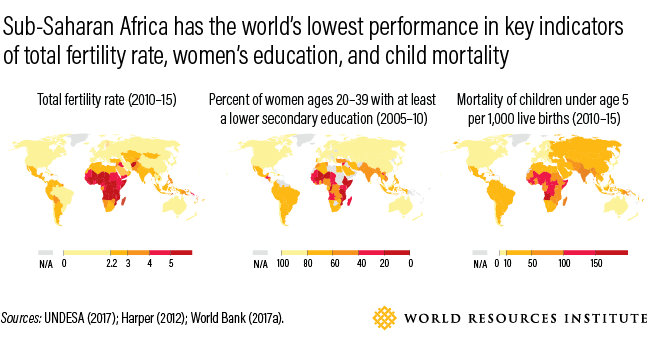 The relative importance of each solution varies from country to country. 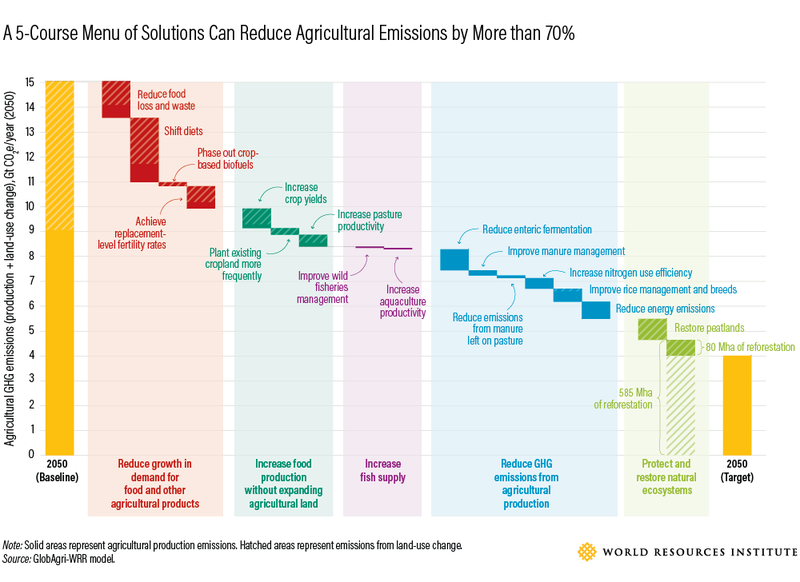 The solutions are organized into a five-course menu: (1) reduce growth in demand for food and other agricultural products; (2) increase food production without expanding agricultural land; (3) protect and restore natural ecosystems; (4) increase fish supply; and (5) reduce GHG emissions from agricultural production. 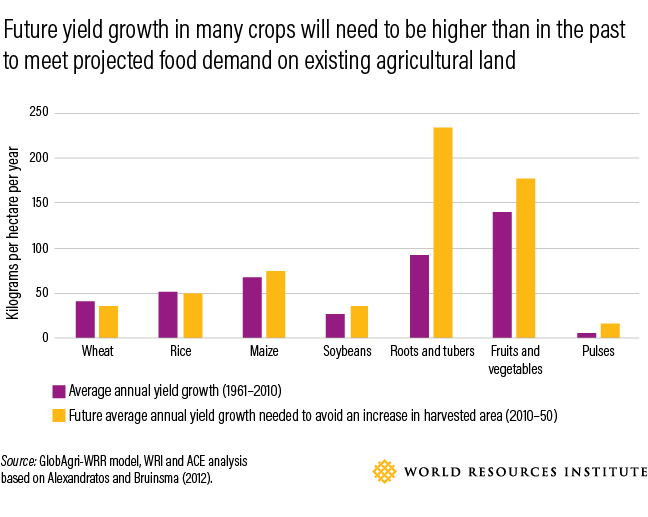 Future yield growth is essential to keep up with demand. Conventional breeding, the selection of best-performing crops based on genetic traits, accounted for around half of historical crop yield gains. New advances in molecular biology offer great promise for additional yield gains by making it cheaper and faster to map genetic codes of plants, test for desired DNA traits, purify crop strains, and turn genes on and off. Actions to take include significantly increasing public and private crop-breeding budgets, especially for “orphan crops” like millet and yam, which are regionally important, but not traded globally. 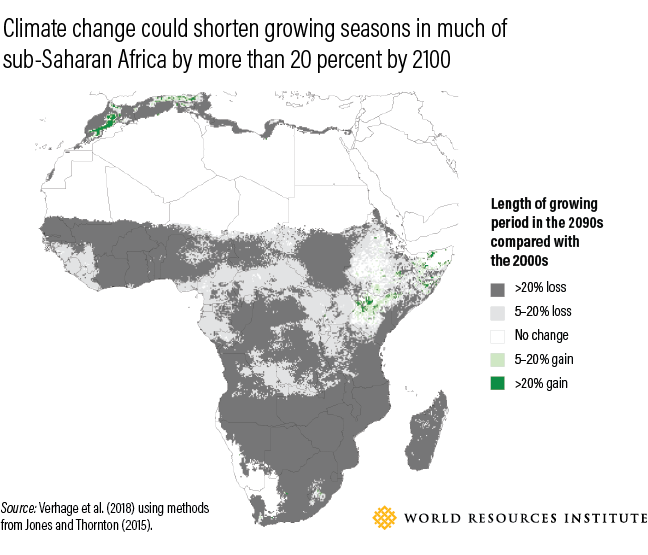 Degraded soils, especially in Africa’s drylands, may affect one quarter of the world’s cropland. Farmers can boost crop yields in degraded soils—particularly drylands and areas with low carbon—by improving soil and water management practices. 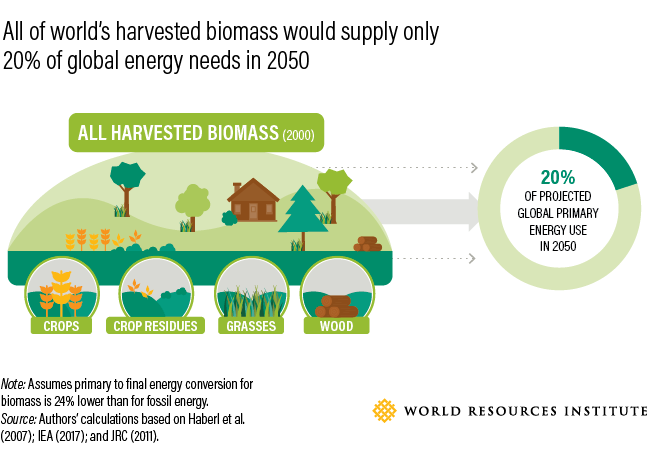 For example, agroforestry, or incorporating trees on farms and pastures, can help regenerate degraded land and boost yields. 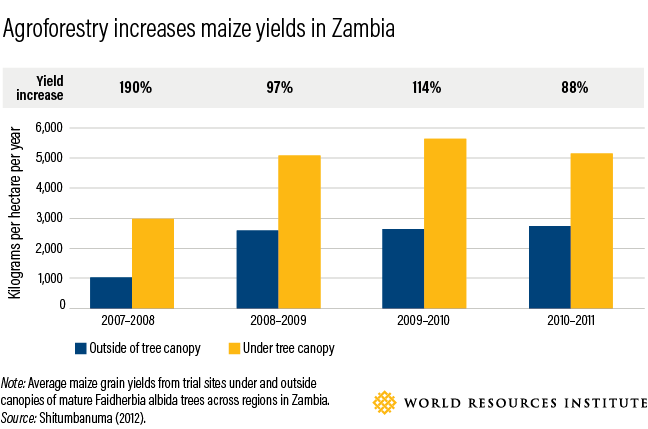 Trial sites in Zambia integrating Faidherbia albida trees yielded 88–190 percent more maize than sites without trees. A 20 percent faster increase in crop yields between 2010 and 2050—as a result of improvements in crop breeding and soil and water management—could close the land gap by 16 percent and the GHG mitigation gap by 7 percent. Actions to take include increasing aid agencies’ support for rainwater harvesting, agroforestry and farmer-to-farmer education; and reforming tree-ownership laws that impede farmers’ adoption of agroforestry. Agencies can also experiment with programs that help farmers rebuild soil health. Planting and harvesting existing croplands more frequently, either by reducing fallow land or by increasing “double cropping” (planting two crops in a field in the same year), can boost food production without requiring new land. 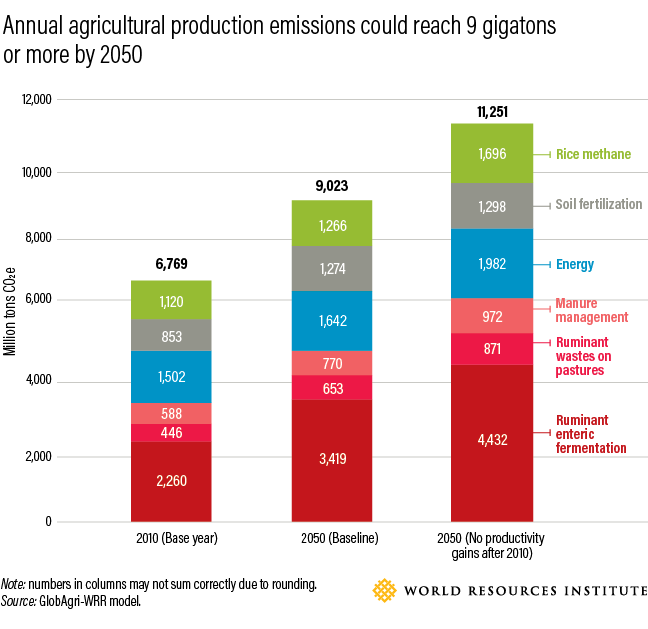 Increasing annual cropping intensity by 5 percent beyond the 2050 baseline of 87 percent would shrink the land gap by 14 percent and the GHG mitigation gap by 6 percent. Researchers should conduct more spatially explicit analyses to determine where cropping intensity increases are most feasible, factoring in water, emissions and other environmental constraints. 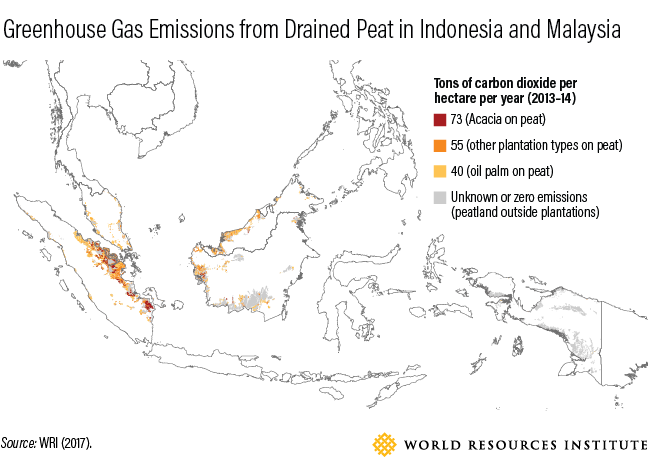 When cropland expansion is inevitable—such as for local food production in Africa and for oil palm in Southeast Asia—governments and investors should support expansion onto land with low environmental opportunity costs. 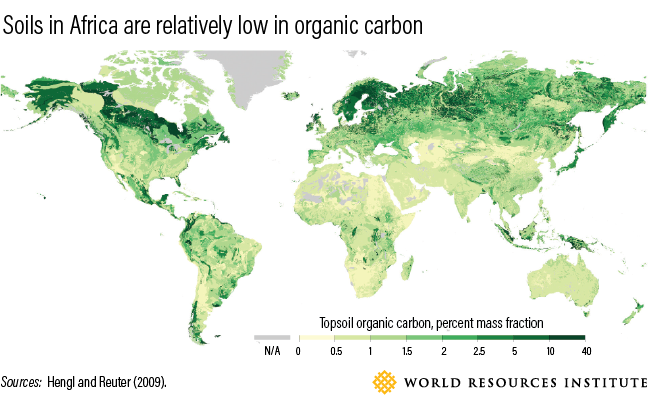 This includes lands with limited biodiversity or carbon storage potential, but high food production potential. 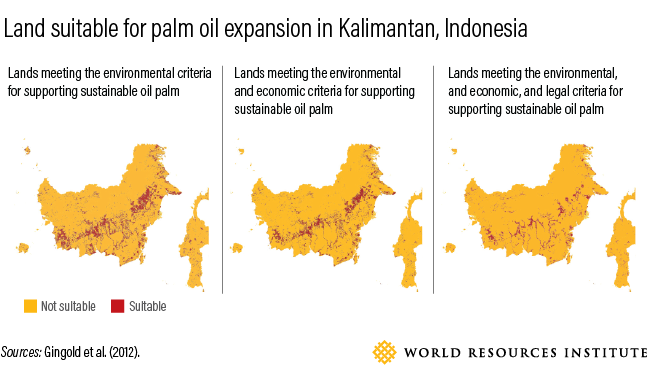 For example, analysis that applies environmental, economic and legal filters in Indonesia can develop more accurate estimates of land suitable for oil palm expansion. Governments need tools and models to estimate yields and effects on biodiversity and climate change, and they should use these tools to guide land-use regulations, plan roads and manage public lands. 15. 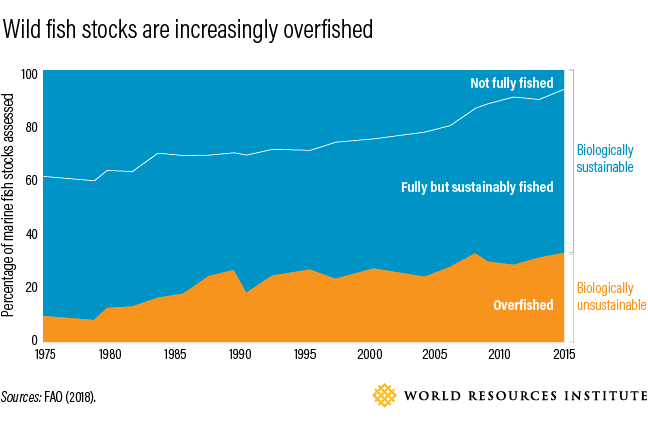 Improve productivity and environmental performance of aquaculture. 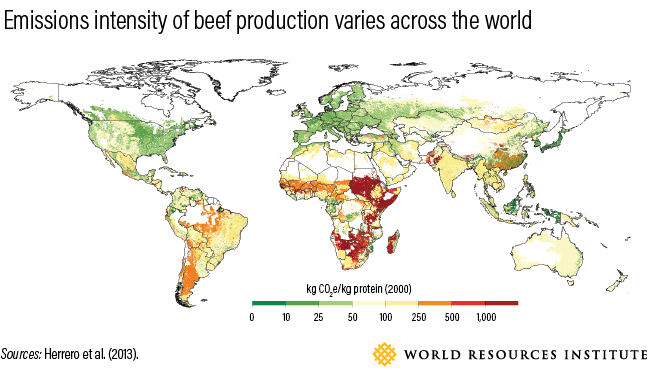 Ruminant livestock were responsible for around half of all agricultural production emissions in 2010. 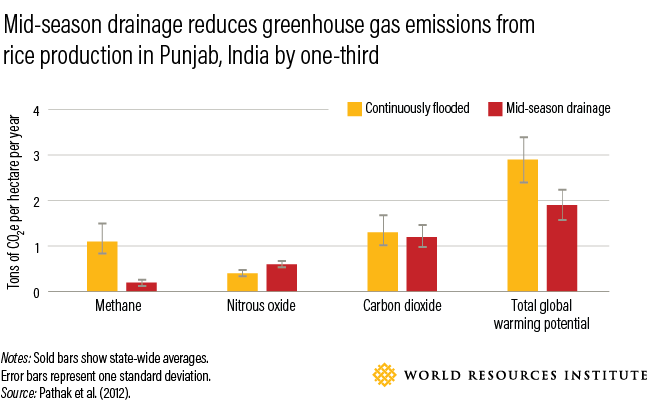 Of these emissions, the largest source is “enteric methane,” or cow burps. 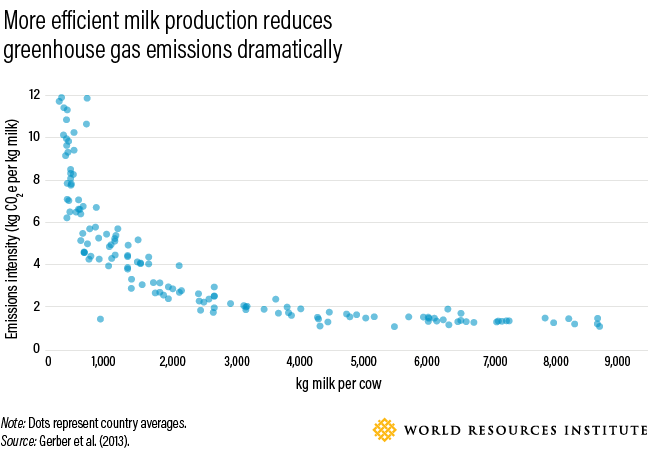 Increasing productivity of ruminants also reduces methane emissions, mainly because more milk and meat is produced per kilogram of feed. In addition, new technologies can reduce enteric fermentation. For example, 3-nitrooxypropan (3-NOP), a chemical additive that inhibits microbial methane, was tested in New Zealand and cut methane emissions by 30 percent and may increase animal growth rates. Governments should expand public research into compounds like 3-NOP and require or incentivize adoption of the most promising. Emissions from “managed” manure, originating from animals raised in confined settings, represented around 9 percent of agricultural production emissions in 2010. Improving manure management by better separating liquids from solids, capturing methane, and other strategies can greatly reduce emissions. For example, using highly sophisticated systems to reduce virtually all forms of pollution from U.S. pig farms would only increase the price of pork by 2 percent while reducing GHGs and creating many health, water and pollution benefits. Measures governments can take include regulating farms, providing competitive funding for technology development, and establishing monitoring programs to detect and remediate leakages from digesters. 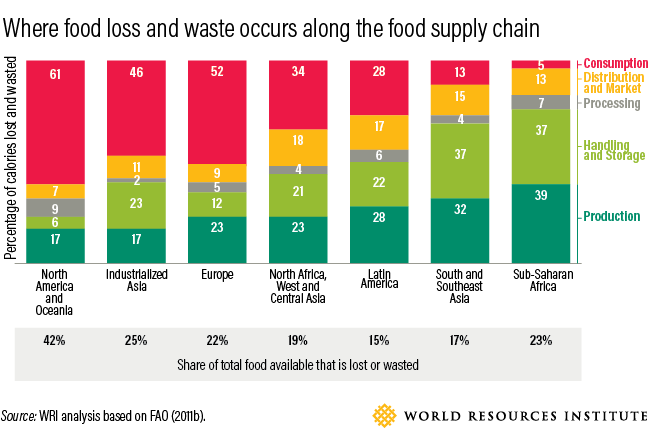 Emissions from fertilizers accounted for around 19 percent of agricultural production emissions in 2010. Globally, crops absorb less than half the nitrogen applied as fertilizer, with the rest emitted to the atmosphere or lost as run off. Increasing nitrogen use efficiency, the percentage of applied nitrogen absorbed by crops, involves improving fertilizers and their management—or the composition of the fertilizers themselves—to increase the rate of nitrogen uptake, thus reducing the amount of fertilizer needed. Actions governments can take include shifting subsidies from fertilizers to support higher nitrogen use efficiency, implementing regulatory targets for fertilizer companies to develop improved fertilizers, and funding demonstration projects that increase nitrogen use efficiency. 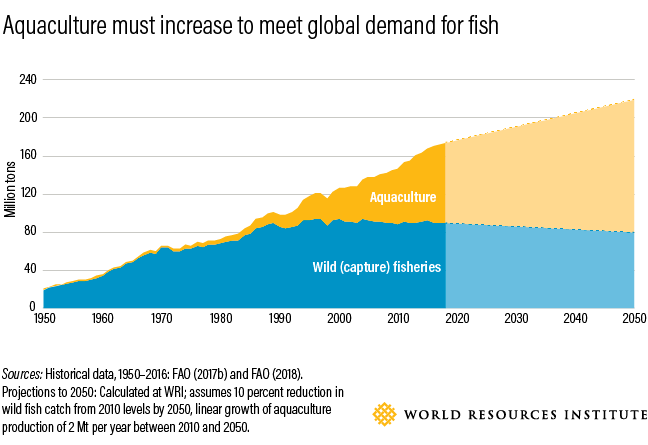 The challenge of feeding 10 billion people sustainably by 2050 is much harder than people realize. These menu items are not optional—the world must implement all 22 of them to close the food, land and GHG mitigation gaps. 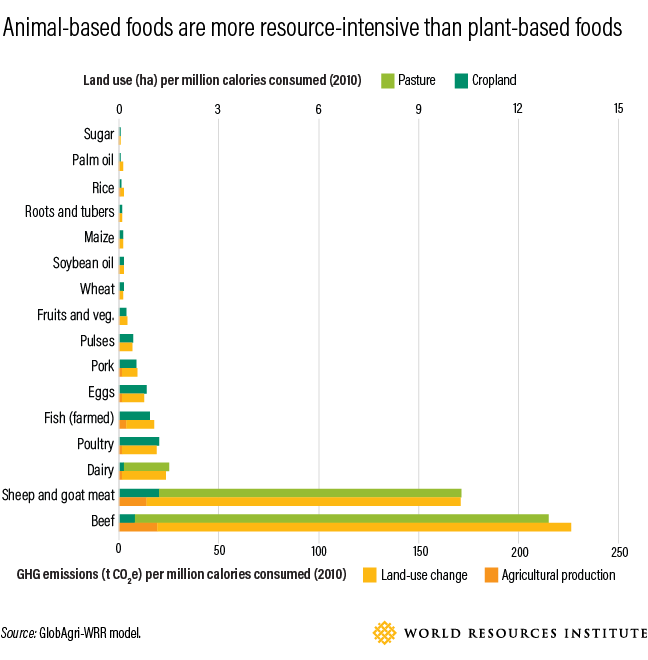 EDITOR'S NOTE, 4/15/19: In a previous version of the "Animal-based foods are more resource-intensive than plant-based foods" graphic, "rice" and "roots and tubers" were listed in the incorrect order. We have corrected the graphic, and we regret the error.